Probably no other continent on the earth is as diverse, sprawling, and stunning as Asia, as each of its regions continues to astound travelers with its surprise pack of attractions complemented by relatively cheap accommodation, decent infrastructure, good food, and interesting culture. Albeit these, what a traveler really finds appealing about a vacation in an Asian destination is the warm hospitality and super friendliness of the people over there. 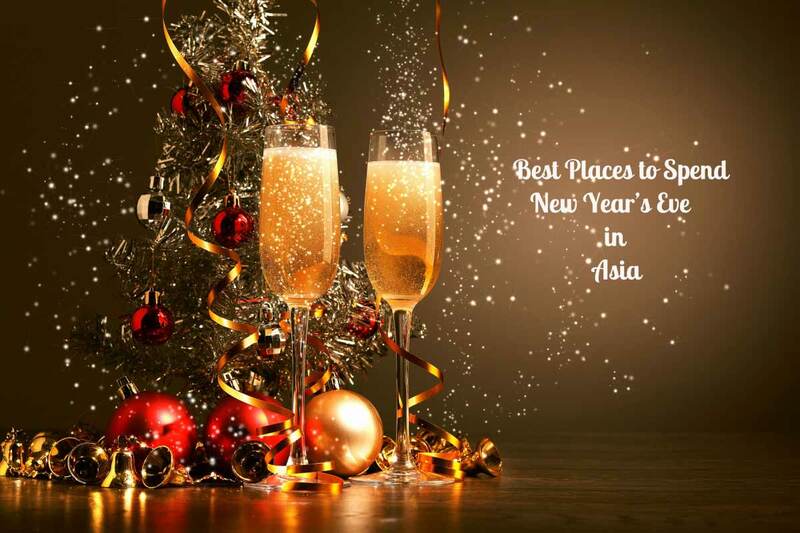 Celebrating New Year in one of the Asian destinations, therefore, is an experience in itself. With the New Year almost upon us, we’re presenting a list amassing some of the hard to miss destinations in each of the prominent Asian regions where you can celebrate New Year’s Eve, such as South Asia, Far East, Southeast Asia, and Middle East. This former Portuguese colony, primarily a beach destination, is a year-round tourist spot. Salubrious weather, strapping party atmosphere, exotic cuisines, mind blowing attractions, and most of all, a plenty of clubs and pubs abounding in its prime spots, make it quite evident that this relatively minuscule state of India offers larger-than-life scope for nocturnal activities and great entertainment throughout your New Year holidays. This is one of the best-kept secrets of Sri Lanka. Placed on the Galle Road and located enroute to Galle from Columbo, Hikkaduwa is a splendidly picturesque spot, highly favored for its breathtaking beaches with some excellent facilities for water sport pursuits including surfing and snorkeling. On New Year’s Eve, this small yet serene town will be clad in a festive fervor, with beach parties, fireworks, bonfires, and great food and drinks all over. The capital city of Japan offers a truly astounding experience of celebrating Shogatsu (this is how Japanese refer to the New Year), with its spectacular firework display over Tokyo Bay, Disneyland, and Tokyo Tower. Besides enabling you to let loose the party animal in you – courtesy to its lively clubs, bars, and pubs, New Year’s Eve in Tokyo is also a time to participate in several contemplative events. Equally fascinating is the tradition of shrines across the region to ring the temple bell 108 times to mark the arrival of New Year. There are numerous ways in which in you can celebrate New Year’s Eve in Bangkok – the capital as well as the liveliest city in Thailand. Get bit by the festive bug with CentralWorld’s massive crowd, fireworks and musical concerts or party hard at one of the many posh nightclubs in Royal City Avenue, or dine at sky-high restaurants, or head over to Loy Nava River to enjoy a mesmerizing dinner cruise with all dazzling views surrounding you. Whatever you choose to do in Bangkok, it has a unique stamp of its own to deliver optimal fun and entertainment. The spellbinding events and exclusive attractions that line up for New Year festivities is always matched up to the astounding celebrations of such hotspots as Sydney and New York. From lively late night parties at Siloso Beach and countdown on Marina Bay to dazzling fireworks display at Singapore Flyer and live music at Clark Quay, every aspect of New Year celebration in Singapore is both spectacular and intriguing. Dubai – the second largest city in the United Arab Emirates – is the clear winner in the Middle East when it comes to the remarkably vivacious scene that it conjures up for New Year celebrations. Thanks to its out-of-the-ordinary party spots, plush hotels offering classy accommodation and dining, and amazing leisure facilities, which alone is suffice to make people of all age groups to right away fall in love with this global city.